Good salespeople build relationships and sell through their networks. It’s not so off the wall then to assume that in this digital age we live in, social media might have a role to play. 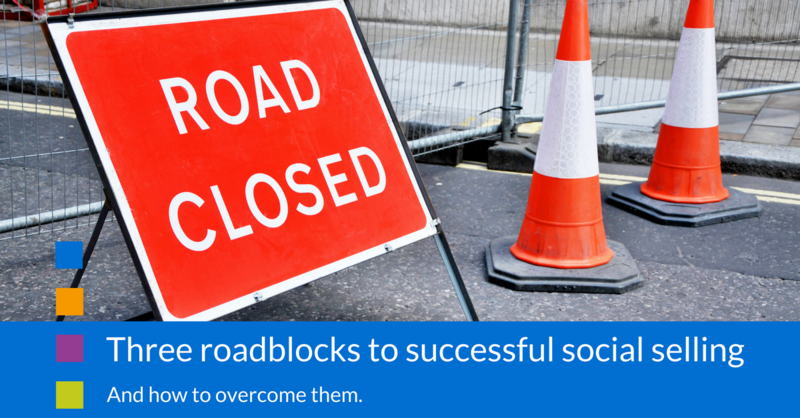 So why are you struggling to get your social selling initiative off the ground? We’re not talking about the salespeople themselves — generally, they have plenty of self-confidence, and reaching out to people comes pretty naturally. What we’re talking about is confidence in social media as a means to engage with people and nurture leads. It’s a slow-burn activity, which means it can be hard to predict results, and it can feel easier to revert to tried-and-tested sales techniques. A synopsis of the recently published assets, so that they can quickly get a feel for the main points. Links to the company’s posts that you want them to amplify, so that they can easily find, like and share. Prewritten soundbites which can either be customised or used as is, so that they don’t have to formulate an original contribution when sharing with their network. For those of us who are comfortable with social media, it can come as a surprise to learn that others don’t always live and breathe it. But a lack of experience with social media, or particular platforms, can hold people back — especially if they think they need to spend a lot of time updating and maintaining their profiles. Solution: A half-day workshop could be all it takes to get your sales teams up-to-date on social media and give them a basic grounding in how it all works. Again, preparing soundbite copy that they can customise to fit their own profiles can make this far easier for them. If your salespeople are reluctant, wait till you get talking to the board! Just like the sales team, C-level managers might feel like it’s too much work, especially as they’re not directly involved in sales. It’s really worth getting them involved though — they hold massive sway, as will their connections. Solution: It’s important that your board understand they’re not being asked to make sales themselves — that’s still the job of the sales team. Explain to your C-level managers that their task is to get the content seen as widely as possible, and set an example to the rest of the business. In fact, this last point is so important that we’re writing a separate blog post, all about getting C-level buy-in. If you’re looking for ways to get a little more traction with your social selling initiative, sign up to receive a notification when this blog is published.